I’ve said this before — but when Cali from SmittenKiss and I get together, we make magic happen. Especially when the bride is none other than Emily of Faces By Emily. Add in Jeremy Chou, and we have a magical day. 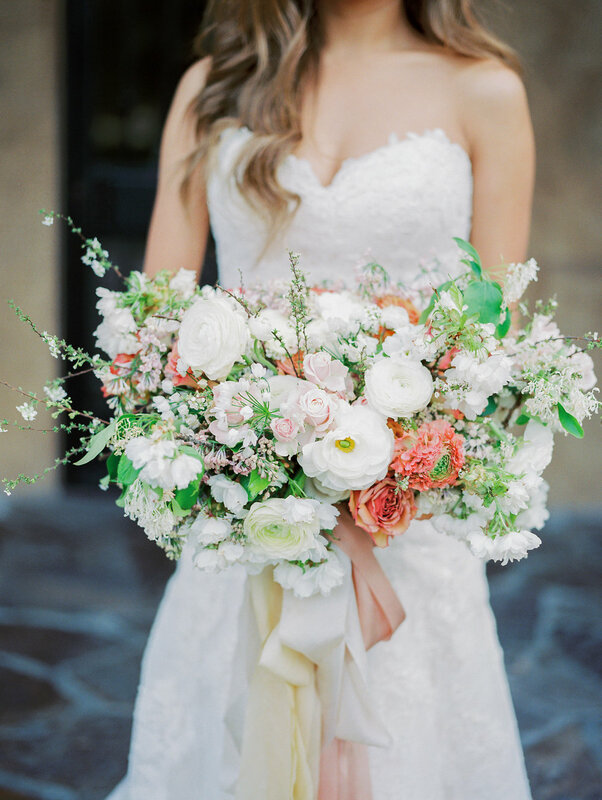 Emily and Bao chose a joyful color palette of pinks and peaches, and paired these warm tones with a soft blue. And the overall effect was enchanting. The couple’s portrait session took place at the beautiful Club at Pasadera in Monterey (formerly known as the Nicklaus Club). 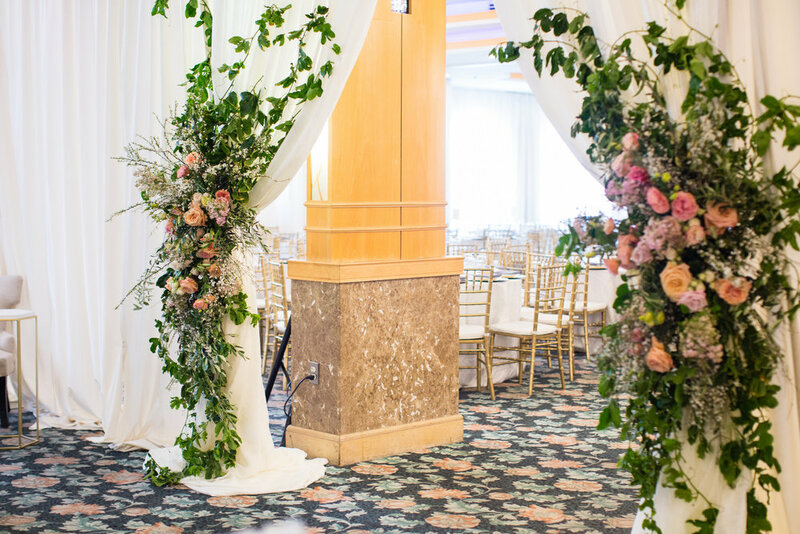 All the Spanish architecture, the fountain, and gorgeous details made for a perfect backdrop for our bride and groom. The reception took place at Dynasty Restaurant in San Jose. 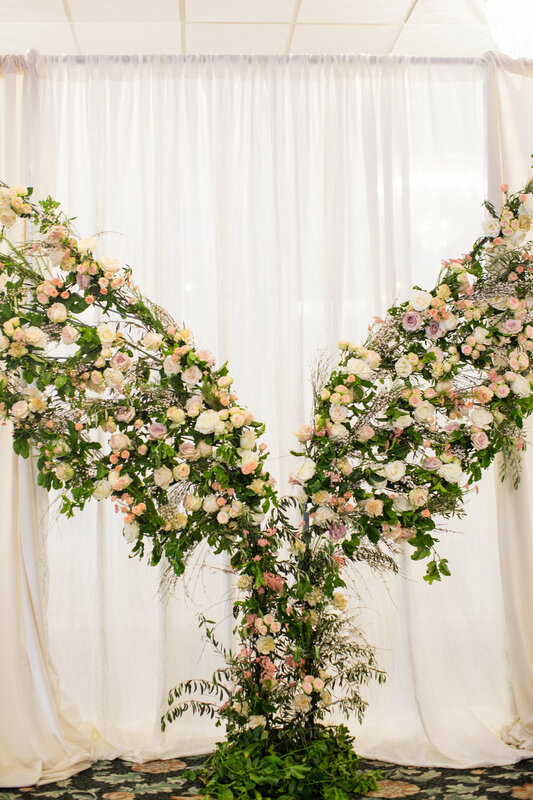 We create multiple large-scale pieces for the wedding including our signature wings; a grand entrance into the ballroom; a photo backdrop for the guests; and a beautiful hanging frame installation. We had a dream team, and went above and beyond for our client / industry friend. 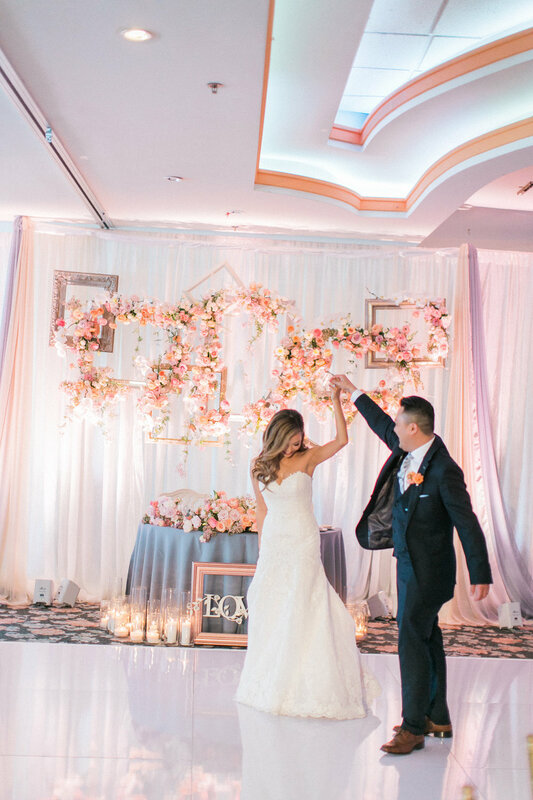 Wishing Emily and Bao all the happiness in the world!